Hello and welcome to virgomen.net. We are just getting this blog set up and we aim to be the go-to resource on all info related to the male zodiac sign of Virgo. When it comes to relationships, compatibility is always a big concern for many. 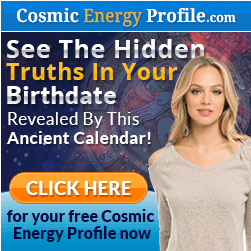 Looking at the star signs can often help to give us an insight into whether a person may be compatible with us. The things we need to do in order to attract them and form a strong, stable relationship that will last the long-term. 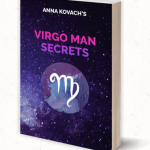 The Virgo man can be especially hard for women to get close to as he is naturally skeptical and suspicious of others at first. It is necessary for a woman to know how to break through his cold exterior in order to get to his heart. He will often immerse himself in his work and is not afraid of loneliness. Another aspect that women often struggle with when it comes to a Virgo man is his fear of emotions. Often, Virgo men do not express their emotions as they think it is a sign of weakness, which is of course not true. A woman needs to know how to get him to open up so they can both share their emotions together in order to have a happy and fulfilling relationship. If you would like to know more about this mysterious male figure then below is a good video. This will give you an overview of the traits and characteristics of the Virgo man. This video will help to give you a good insight until we are ready with more content to bring to you. On this blog, I will be sharing insights into all these aspects and much more. I hope you will find my blog interesting, informative and very helpful when it comes to deciphering the sign of the Virgo male. For more info please do read our article on the Virgo man traits and personality characteristics.